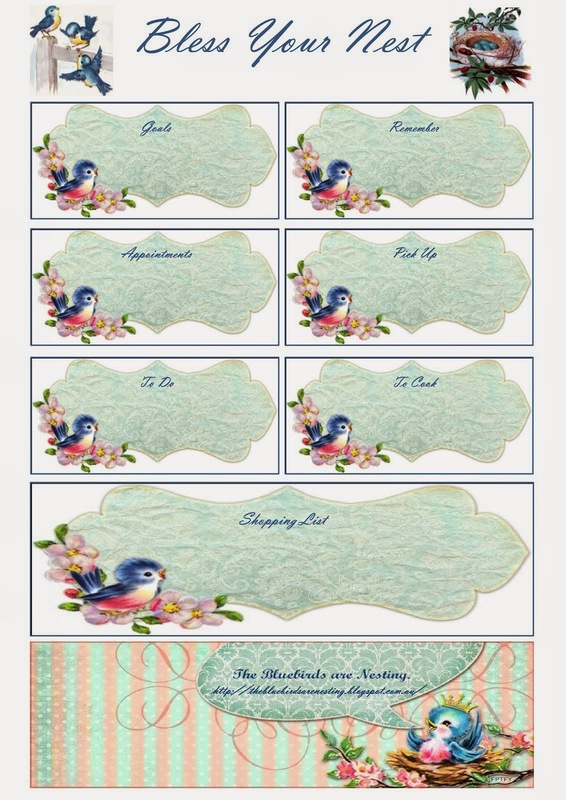 The Bluebirds are Nesting...: The Christmas Challenge. My July so far. The Christmas Challenge. My July so far. Time for a catch up and show what I have been making this month. And I am including Mum as she has made things I really want to include. Not everything makes it into the Christmas cupboard. Some things do though! Currently I am working on a crochet rug that is going to be cot size. I think cot size can also be a knee rug depending on who you give it to. This is in gelato/pastel stripes. I am loving working on it. All the time I think "I'll just get up to the next colour" and this keeps me going! So far this month I added grub roses to some little tops for Harper. I added little roses at the neckline and wrist. I am enjoying that pretty much all the time she is wearing something I have made or embroidered or Mum has! I added a frilly edge to another pair of little socks. These basic little tops are really inexpensive. Just a touch of embroidery makes them nice. 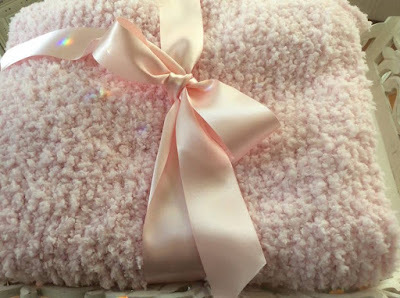 I finished (and put in the gift cupboard) a knitted soft pink rug. This is super soft. 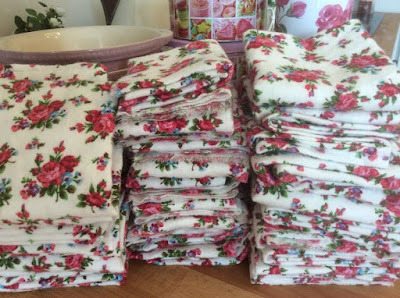 I hemmed some of the flannelette to make super soft and extra large hankies. The rest are just torn up and folded ready as disposable hankies... since my supply was very diminished. The next one is in pinks. As modelled very well don't you think? It has lots of textures and is really warm. 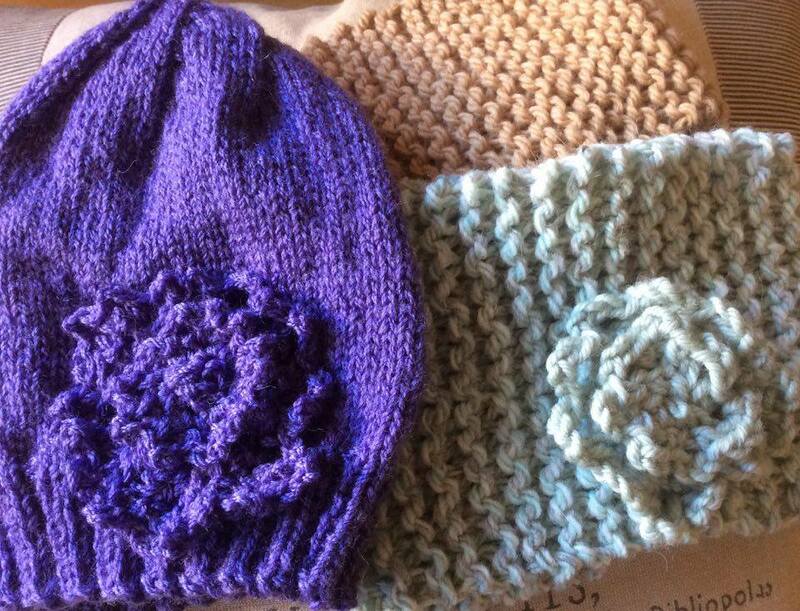 Also Mum made a heap of hats and headbands for a charity she likes to give to. Plus a baby rug for a family with a newborn... but I don't have a picture of that one. That is about where I am up to this month. I wish I had another set of arms as that would be helpful sometimes. What a wonderful idea (A Christmas Cupboard) We have a big family party every Christmas and I had the idea of giving away things that I had made during the year. This is a great idea I am going to make me a Christmas Cupboard. thanks for the idea. Thank you! I started in January and work all year round. Each moth we have a show and tell so everyone can show what they have been making. It really adds up if you do something each month or each week... I also include bargains and good things as I see them along with the things I make. By December I have just about something for everyone plus charity and strangers in need. Thanks Fiona! This brings back memories for me. Harper is so like both Chloe and Lucy were when they were little and they had these skirts on in winter time. With cute little tights. Here was are again! I just had lunch with my friend. She finished a beautiful embroidered rug for her new Grandson. its amazing, Ill show it in show and tell but I am inspired to do some more embroidered rugs. Too many things to do, not enough time! Oh, Annabel, how I envy your crochet and embroidery talent!!! Your embellishments to the tops and socks are wonderful!! And the skirts are just adorable!! We are going up north in two weeks to visit my brother and sister and my sister-in-law called to ask if I might bring them more of my home canned hot pepper mustard that I gave them 18 months ago because they loved it so much and couldn't find anything like it in the stores! In fact, they asked if I could bring them 2 pints each! They even offered to buy it from me! I am elated because this can be birthday gifts for them! I'm taking a quart of the cherry pie filling I canned this week to a friend for his 90th birthday, too! His wife saw my pie filling photo on Facebook and said her husband just loved cherry pie but that she never had pie filling in the house at the right time to make him a pie. Voila!! Another gift!!! I am now finishing my third set of 4 trivets from my scrap fabric, batting and backing. I am hoping to get 10 sets done in my spare time to give to my 7 daughters and 3 daughters-in-law for Christmas. You are all far and way ahead of me in your gift cupboards though. But every gift I can make or find now will save me in the future! Dear Gardenpat, It sounds like you are on to a winner with that mustard. Now you know this you are set for gifts. It sounds like the perfect present!. Thank you for the comment on my embroidery and work. The cherry pie filling is a beautiful gift, I think most people would love cherry pie. I like pies as gifts too as they are kind of an all in one main course or desert, depending. Plus they look so good! I hope the cherries are turned into pie for this man, he will love that. Your trivet sets are beautiful, Ive been keeping an eye on them and you sure work fast! There is plenty of time between now and Christmas still. The rate you are going the cupboard will be full in plenty of time! What lovely gifts, you and your Mum are both so skilled at making sweet and warm (!) treasures. Well done! This month (actually yesterday), I finally finished another large scrapbook for one of my grown children. I have only ever completed one previous book earlier this year, so I am over the moon with simply finishing a second one! My grown son will be so surprised that the best photos and memorabilia of the first 22 years of his life are finally and beautifully arranged. I don't think I'll be able to keep it from him until his birthday in November; I'm too eager for him to see and enjoy it! I think I'll be giving it to him tomorrow. Well done on the scrapbook! This sounds like a fantastic gift. I am actually terrible at waiting to give things Ive made! I was thinking "oh no wait for his birthday!" but in truth I am the same and find it hard or impossible to wait! Either way this is a very good gift. It will be treasured. I am glad of what you said about perfectionism. This is a big problem that stops so much work, fun and productivity... just going ahead and doing things and do our best, the results are great and that is how we learn. Nothing in nature is perfect I notice. And yet its glorious. So well done on just doing it and also finishing it! I hope you enjoy this next scrapbook. Making them must also be like a trip down memory lane as you do it. The clothing you make for your granddaughter are so pretty. Wishing for a granddaughter of my own some day. She will always have pretty things to wear. She is adorable. I love. love the pink rug you knitted that is so lovely! Also your grub roses are perfect and I love Harper's little skirts your Mum made. Everything is perfection! 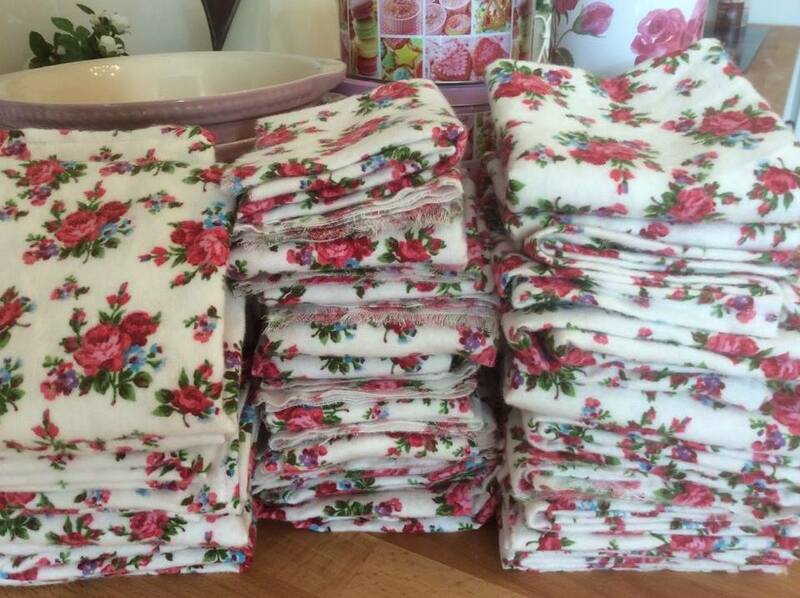 I for sure wouldn't blow my nose on one of your hankies unless it had a stain on it LOL they are just too pretty. You always inspire me so much with the things you make. Thanks Vicky. I thought I hadn't done much but it adds up. Plus I had skipped last week so that gave me extra time! Dear Mel, I think its gorgeous that your husband comes home with pockets of dandelions for you! The beeswax is fantastic! You probably have many ideas for this. I love beeswax. Melting some and pouring it into a little container is a lovely gift for anyone into furniture restoration, shabby chic paint effects. I finish off all my white and chippy pieces with beeswax rubbed into the raw bits. It really highlights them. Heat the wax, add the oils. Stir for three minutes. Pour into tins or jars. This then sets and smells gorgeous. It makes wooden furniture lovely and the house smell lovely at the same time. It is really good and a pretty and useful gift! Lemon butter is a great present. I have two jars to give away and they are very popular. So bright and cheerful too. Thanks for the comments about my embroidery! I am glad I started embroidery again as I had many years off. Hi Annabel, Little Miss Harper is such a lucky little princess with her Grandma and Great Grandma making her beautiful gifts. We thought our little princess might have arrived last night. False alarm. However she isn't far away. We wont get to see her for at least another week and closer to two. That armpit infection has turned out to be a staph infection. Baby cuddles are definitely out of the picture for me until this is all cleared up. Plan Z.64 is enacted. However I keep getting ready to go visit. This week I made Bluey a bathroom bag. I've made it quite large and boxy. It has a reinforced handle that can hang over a door hook in bathrooms. Bluey's hands don't cope well with small anything, so I made it large for the full size shampoo bottles. It's also very bright so I'm hoping he wont lose this one. He has left quite a few around the country. The lap rug I'm making for me, out of left over wool from other projects, is making my heart sing. It will be something I can work on once we get on the road. Our daughter has caught the craft bug. She bought two pot plant pots on special in a dirty pink colour(really yukky). She purchased a can of black and a can of gold spray paint as well as a cheap nylon lacy tablecloth. The pots are now black with a gold lacy pattern on them. She found some gerberas on sale and will plant these in the pots. This is for a girlfriends Birthday gift. I was given a small electronic weather monitor. I'm a bit of a weather nerd so when a friend got this one with something that she had purchased, she gave it to me. I already have one so this gift is going to be regifted to my BIL for Christmas. My friend knows this is happening and is happy someone will end up using it. I made several card bookmarks, using some lovely little prints I found in the cupboard. I am going to borrow a friends laminator to give them a protective cover. These will be sent off in my Christmas cards. I am looking forward to having very little to report on on a Wednesday. This will mean we will be on the road. oh no! We will have to form some kind of lobby group to get more letters added to the alphabet so you can go from plan Z to another letter. Sorry to hear this! I hope this is all clear up asap. At least you know what you are dealing with. it sounds like you could get news any moment about this baby! I am loving what your daughter did to those pots! See if she can be persuaded to be in show and tell. 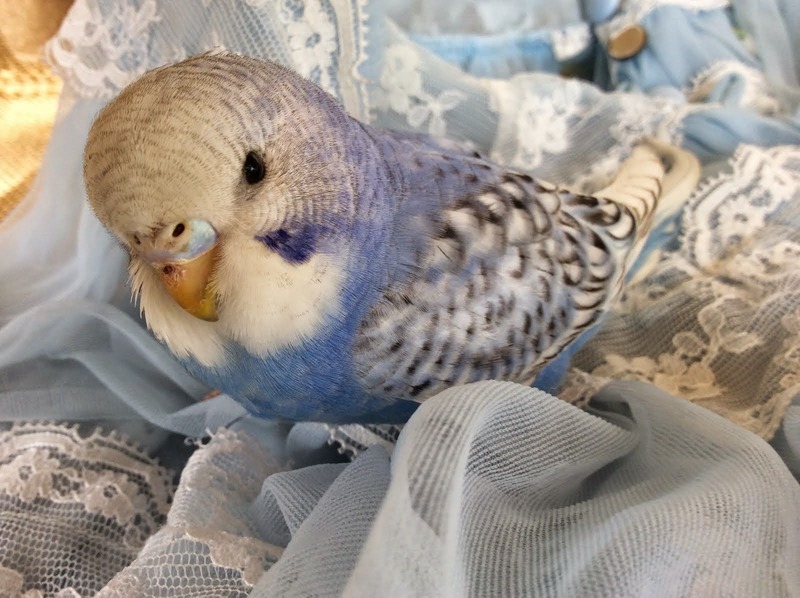 Tell her you and Bluey are already stars here in show and tell and she better join in! It is funny you say you are a weather nerd! My Pa was really good at telling the weather. Miles better than the BOM who don't even seem to have window to look out of half the time! He had a barometer and things and anyway could always tell you accurately what was coming! I am liking the laminated book marks. I could laminate things all day. Mum and Dads office has a laminator. This reminds me I should make some plans to use it. If you can stand it honey especially your Australian eucalyptus honey can help get rid of staph. Since it is your armpit I would get big flat bandages and put honey on it and put it on your armpit if it starts getting watery or oozy the honey is working. It may help you get over it faster. I have used honey or coconut oil for several things and have found they work well! Dear Lyn, Thank you very much! I am glad you are working on some gifts, it is enjoyable but a relief in December too! 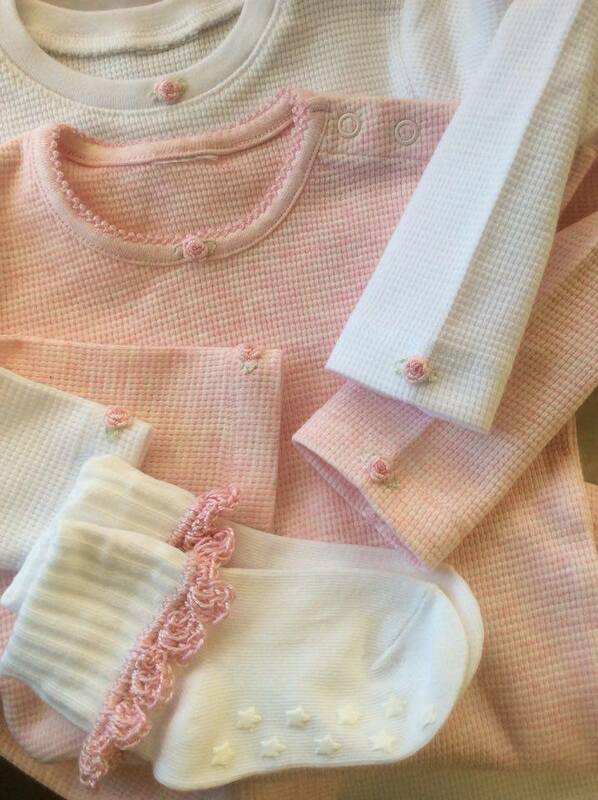 It must be so much fun to have a granddaughter to make beautiful girly things for. Harper is the perfect model and she is one lucky little girl to have a grandmother and great-grandmother making her beautiful things. Thanks for sharing all the photos. They're very inspiring. The gathering of both supplies and ideas means you hit the ground running when time does allow. Meanwhile harvesting is wonderful! So is preserving! building up your pantry and supplies is about the best thing you ca be dong. Also it is a good time for soap making in the next month or so as if any is for Christmas presents it will have time to harden up well. I have so much soap put away! I am thrilled with it! It looks and smells really good. This helped my present cupboard a lot as I got a lot of gifts. Beautiful! Pink! Marshmallow! Warm! Soft! Snugly! Cuddly! ..... Beautiful! You and your Mum have done wonders here!! It's very nice to see!! Firstly I am elevating you to blog secretary. Thank you for helping find the questions from cookie and Mimis onion jam. Thank you! AND I a very excited about the photos. Andy and Bluey are already lied up wanting to see the timber. I am very pleased to hear the pink didn't wash out! That would have been a tragedy I have to say! Seems like your Mum was aware too! Annabel, 'blog secretary' sounds like fun!! What is the Bluebirds blog secretary required to do? ..... try to learn some crochet in summer?! I'd like to give it a go! 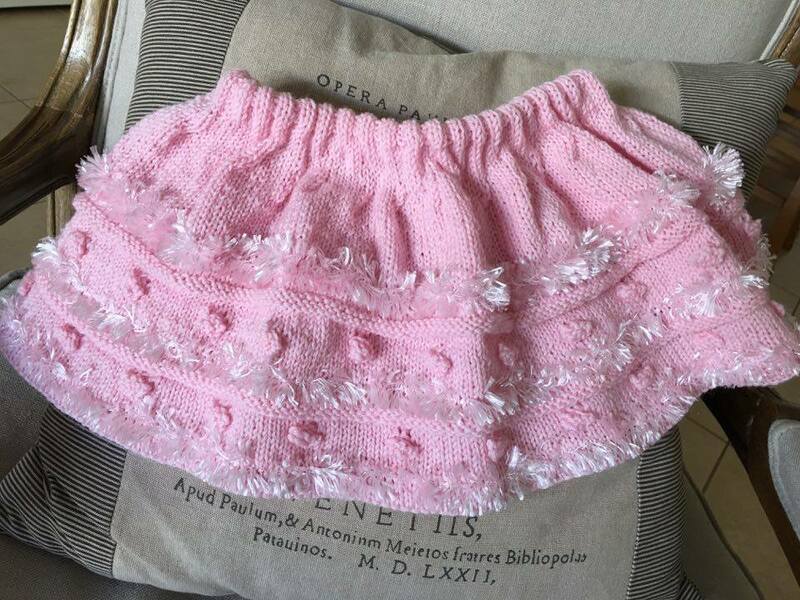 Annabel, Such creative ideas to brighten up baby clothes. Curious questions from the states ... are your hankies used to clean up after the baby? I called them burp rags unless these are actually hankerchiefs? Also, is a baby rug a name for a blanket used for laying the baby down on? We have so many words that are different! I am sorry about that and am learning (slowly!) Ok so hankies you call handkerchiefs. I asked one of the other US ladies. We just shorten it to hankies. We use burn cloths too and these would actually be very suitable for that. A baby rug I am not sure... maybe you would say bunny rug? A rug to keep a baby warm. Or yes you could lay it on the floor as well. Harper is just adorable! Your embroidery is awesome and she is one loved baby girl! Our oldest granddaughter is already 5 today. The time flies much faster with grandchildren that our own, I think. I think five must be a beautiful age. I am treasuring the moment and can see her grow before my eyes. Sometimes if I haven't seen her for three days or something she has grown in that time. Also she has more hair overtime I see her! And this will be over a week. So I can see what you say is true, this time will fly by. Annabel, I always enjoy your posts and seeing what you've been making. 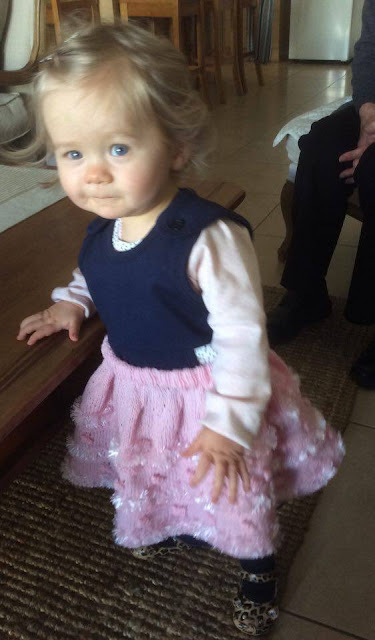 Harper is a cutie and one lucky little girl to have a Nanna to make all those cute clothes for her. Here in Oregon the canning season is getting into full swing, I have been doing lots of jams so far and am starting on zucchini relish today. I do count them towards my Christmas giving. I haven't had much time for anything else seems like. I'm looking forward to the time when I can get to my sewing machine or doing some crochet! I like your idea for the hankies, my Dad always carried a hankie. A fond memory. Thanks so much. I totally agree that while it is the season thats the best thing you can be doing. And that apart from supplies this all gives you gifts. Wonderful gifts actually! The weather will change soon enough and you will be sewing. Dealing with produce is a lot of work but it is a big time for pantry building. I really love making jams! But oh the mess and work. I have made jams into the night many times when I have had to use produce fast! I still look forward to it though, its the best part of summer, the fruit! Awwwww! Harper looks so cute in her little skirt! I just love all of the pretty clothes you and your mother made for her. Gorgeous gifts! Thanks, as always,for inspiring us! Just adding jams to my cupboard for now. Jams are a great gift as well as pantry item. There are so many things you can make if you have jam. Dear Annabel, Harper is such a cutie! She is a sweet little princess!! I love all the clothes you and your mom are making/decorating! Also, the pink blanket looks so soft! Thanks Teri! I hope you are having a good week too, although we are getting to the end of it now. I hope your garden is going well and you have things to harvest too. You and your Mum have been very productive. The embroidery just elevates the ordinary to boutique expensive and the hat and headbands plus little skirts are just gorgeous (and modelled very professionally indeed). I'm not really a knitter (My Mum's knitting was exquisite), but all the socks I'd been seeing here had me intrigued, plus they could possibly solve some male gift issues. 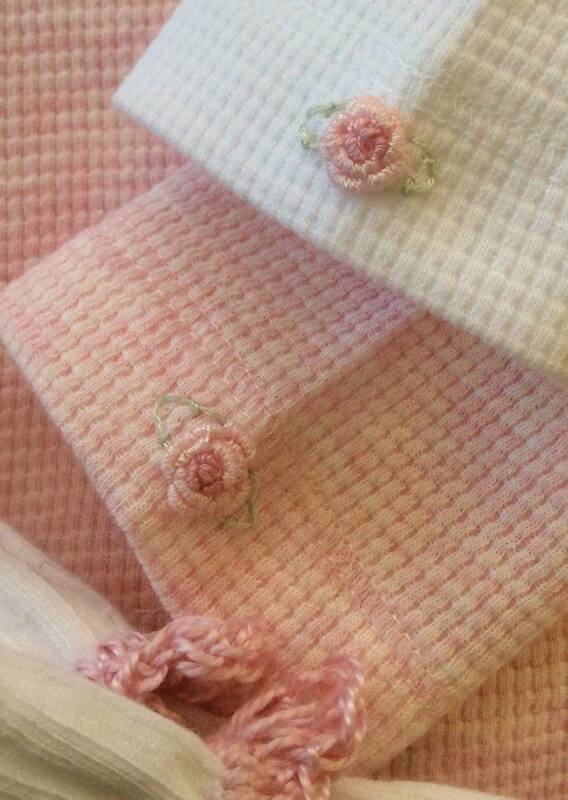 This month I pulled out some of my mother's sock wool, her needles and referred to the links I was given here - voila! I have socks! I have discovered I love knitting socks and have managed another 2 pair (in 8ply intended for a jumper long ago). I must admit, nothing much else has been done, and the wet weather helped, along with some forced quite time due to dental surgery. I am gifting 2 pair to my DB for his birthday this month - the other pair with go in the gift cupboard for use at Christmas. Thank you for the inspiration an encouragement. Thank you so much! Well you ARE a knitter and a much better one than me too. I am really thrilled reading this. Well done! Socks are a beautiful thing to make a great gift, item for charity and useful too. Also as you say in wet weather these things are so enjoyable to do. You always feel content with a nice project to work on. Also... small projects like these are portable and you can take them with you like the waiting rooms etc. 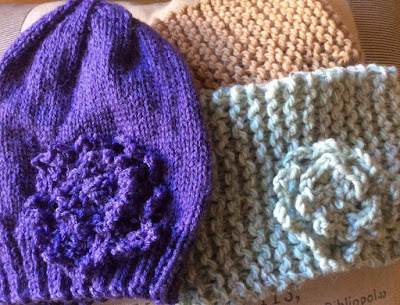 I feel so pleased that all the girls knitting and being helpful here has helped you get going! Made my day! Wow, Janine! You made me laugh with joy because you're doing so well! It's amazing how an item so ordinary can bring a knitter such satisfaction! It sounds like we share the same sock knitting ..... ah .. disposition, and happily so. I even knit socks in summer!! 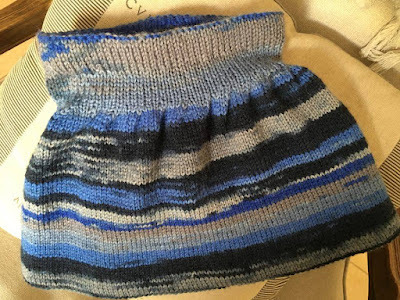 How about trying a cabled sock like Jen's?! 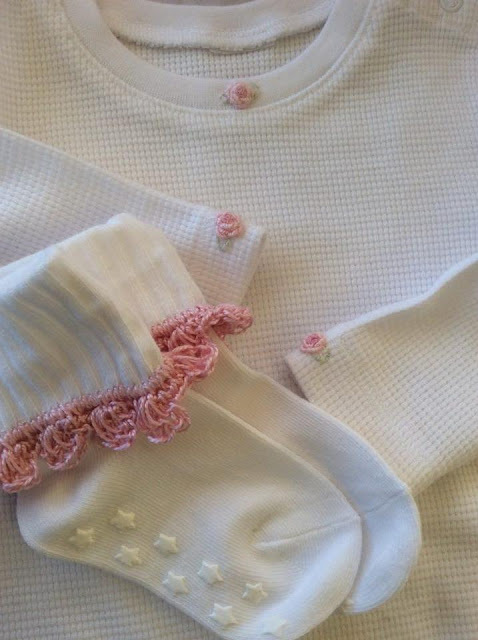 I love the embellishing on the baby clothes! I used to do that for my daughter with embroidery floss and a bit of rick-rack and lace. It made t-shirts so adorable. I kept them to this day to pass on to her :) Have a lovely and productive week my friend! Everything is gorgeous! You and your mum both do such lovely work. Harper looks so sweet and adorable in her little skirt, too. With my sil staying with us, we have been doing some crafting. I showed her the cards I made with magazine images and she loved them, so I told her we could make some while she was here. Oh, she was SO excited, especially when I brought out my stickers and embellishments. She had so much fun, and when I started decorating a notebook, she got the idea that she wanted to decorate all of her school supplies! Now I am thinking for her upcoming birthday I will mail her craft supplies! As school here is about to start (August), the stores are running back to school sales. I plan on getting lots of notebooks to decorate, and maybe some pens, too. I love anything that has to do with stationery, so I get excited when all of the school related things start showing up in stores lol. Well actually, if my husband gets the job he applied for, he will be starting college this fall. We saw a children's lunchbox that looked like a fire truck and joked that he could take his lunch in that. I told him the other guys would be jealous lol. I can see you gave your little sis a great time! She will be talking about this for ages! Maybe she can come every year or sometimes as she could be your little apprentice and would be helpful and learn a lot! I love all things stationary too! LOVE! That is funny about the fire truck lunch box. Thats what he should have had when he was little and at school as he was going to grow up to be a fireman! Craft supplies can be small and light and good to post as gifts. This is my current challenge, gifts that can be posted as postage is expensive now and I have to get that under control. I just love the embellishments you've given the t-shirts...talk about glam! Those roses just raise things to the height of elegance. My Christmas crafting is going slowly...been working on--gasp, surprise!--socks, and made a couple of cards for birthdays which have gone in the mail today. Our first picking of black currants was this morning. Unfortunately, the birds and the brown rot got the cherries this year, but we've wrapped up the red currants to keep out the critters and hope to pick some tonight! Off to the butcher's and grocer's this afternoon while the kids go to the pool to beat the heat. Thanks! You have been inspiring new members of the sock knitting club so keep up the good work. It is a shame about the cherries but the black currants sound wonderful! It is a hard job competing with birds. Around her parrots get into all fruit. I usually can beat them but still have losses. And we have possums as well. Thank you so much. I love the idea of comfort baskets. And the hankies included. I really love gift basket type presents. The idea that they can be adjusted for sickness, comfort, treats etc. I can't wait to see your toys. The dancing rings sound gorgeous. We used to make ribbon sticks for twirling which were really nice and I need to remember all these things and do them again. The birds and nests... I want to see! Thanks for so many lovely ideas. These are lovely gifts and I am sure anyone would be most thrilled to receive one. Great inspiration! Feather your Nest Friday, 29th July, 2016. The Christmas Challenge. Joy plus savings. The Vicky Challenge. Mobilize the troops. Feather your Nest Friday, 22nd July, 2016. The Vicky Challenge. Plan B.
Feather your Nest Friday, 15th July, 2016. The Vicky Challenge. Do a little research. Feather your nest Friday, 8 July. 2016. The Vicky Challenge, 4 July, 2016.